Toyota Motor Corp. is planning to introduce its next-generation Prius hybrid with a 2-batterry choice, having newer-generation lithium ion or more traditional nickel-metal hydride batteries. The new introduction is said to have same manufacturing cost, along with delivering same performance. The manufacturer claims that it is going to be a fuel-efficient choice for the car buyers. “We’re adjusting it to the mass,” Toyoshima said. “So whatever grade it is, the fuel economy will be the same. Even if it’s a higher grade the fuel economy won’t be bad. 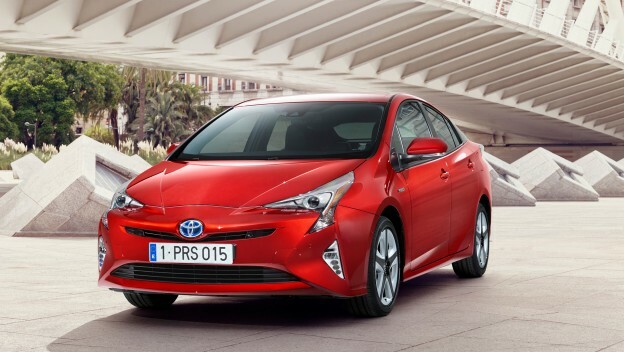 It will be good.” Says Toyoshima Kouji Toyoshima, chief engineer of the Prius. The Latest Prius is supposed to be available on sale Japan from the next month and in Europe and the U.S. by early next year. But the car maker has notified that the next Prius would attain somehow augmented fuel efficiency of 40Km/h, as measured under Japan’s domestic testing cycle. It is still an interesting question for many that why Toyota has offered a 2-battery choice for its next Prius. But it is nothing but a purposefully step to make Toyota to pack an extra 35 pounds of batteries into higher-end models and attain the same efficiency and auto mobile performance. The decision is all about making all Toyota versions to have almost similar fuel efficiency. This entry was posted in News and tagged auto mobile, hydride batteries, Next Prius, Toyota Motor Corp on December 4, 2015 by admin.